It’s Monday and it’s raining hard in the Philippines! Tropical storm Maring is continuously pouring the country with heavy rainfall that caused flooding in various places and class suspension as well office work schedules. Luckily, I am not included on the number of families suffering from the effects of this tropical storm. It was technically a holiday for me since today is Manuel L. Quezon day and I am working at Quezon City, the city named after this hero. I ideally wanted to make this day productive since last week where I planned to go to my college school at Sta. Mesa, Manila to get my TOR, then go to Ortigas, Mandaluyong City to get my certificate from the last Strategic Marketing Conference (StratMark2013). But here I am, shut in the house all day because of the heavy rain. But to make it all up, I am still trying to be productive as I can by doing other works and drafting blog posts for this blog. And today I will talk about this cutie Bunny Nails that I wore last week since it is Manicure Monday. This is another simple nail art that I am inspired to do after my Piggy Nails. I am planning to post more of these simple nail art that you can DIY (Do-It-Yourself) if my time permits me. Bunny is one of the cutest pet you can ever had. And I personally love this cutie animal! I mean, who wouldn’t be? They are awesomely adorable! And imagine wearing them on your nails? Yes please! More particularly if they will be in different colors! I personally love to wear them in soft pastel hues that was inspired by Easter eggs! 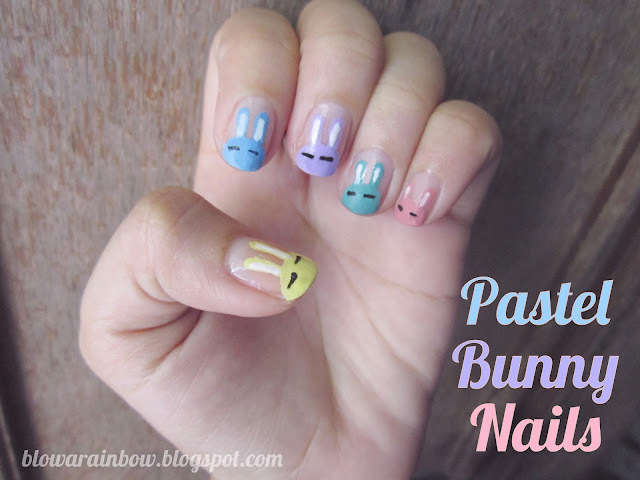 And yes, this is a perfect Easter manicure! And just like the last time that I posted a nail art manicure, I am also posting a step-by-step guide on how to achieve it (see the photo above) and yes, I am committing to have this guide every time my Manicure Monday post is about nail art, complicated or not. 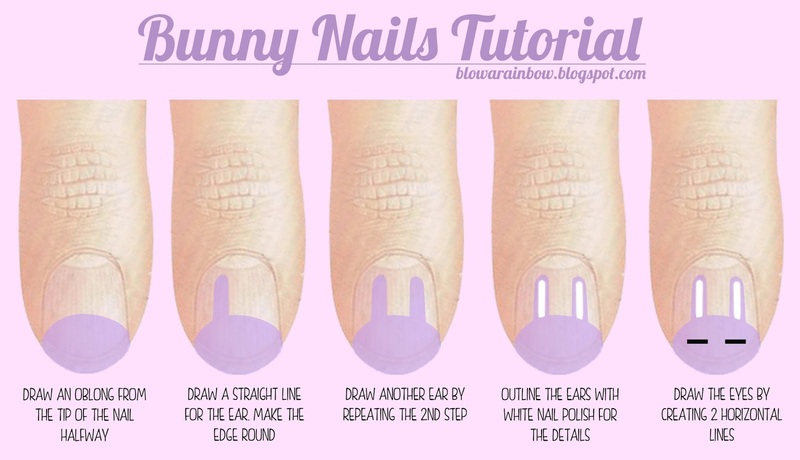 Hope that you've enjoyed this Bunny nail post. Very cute! I will have to try these out!